PERLIGRAN® Classic: The all-natural inorganic amendment for growing media. PERLIGRAN® from KNAUF AQUAPANEL is a 100% natural amendment for your growing media. Manufactured from natural perlite, a high-grade mineral derived from volcanic matter, PERLIGRAN® is specifi cally designed for use in substrates or as a soilless growing medium for vegetables and cut flowers. Thanks to its homogenous porosity, higher water absorption capacity and superior wettability, PERLIGRAN® is the ideal basis for the healthy growth of plants’ roots. PERLIGRAN® Classic is especially suitable for use as an amendment in hobby and commercial substrates, but it also performs admirably in garden and landscape applications. In particular PERLIGRAN® Classic’s durable structure and aeration features make it the perfect choice for tree and shrub plantings or for especially challenging native ground. PERLIGRAN® Medium: The ideal soil amendment and hydroponic medium for seedlings. 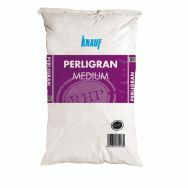 PERLIGRAN® Medium. The best protection for fine roots. Thanks to its homogenous porosity, higher water absorption capacity and superiorwettability, PERLIGRAN® is the perfect basis for the healthy growth of plants’ roots.PERLIGRAN® Medium is an optimum seed cover, as it protects seeds from the sun while maintaining the moist conditions they require to germinate. 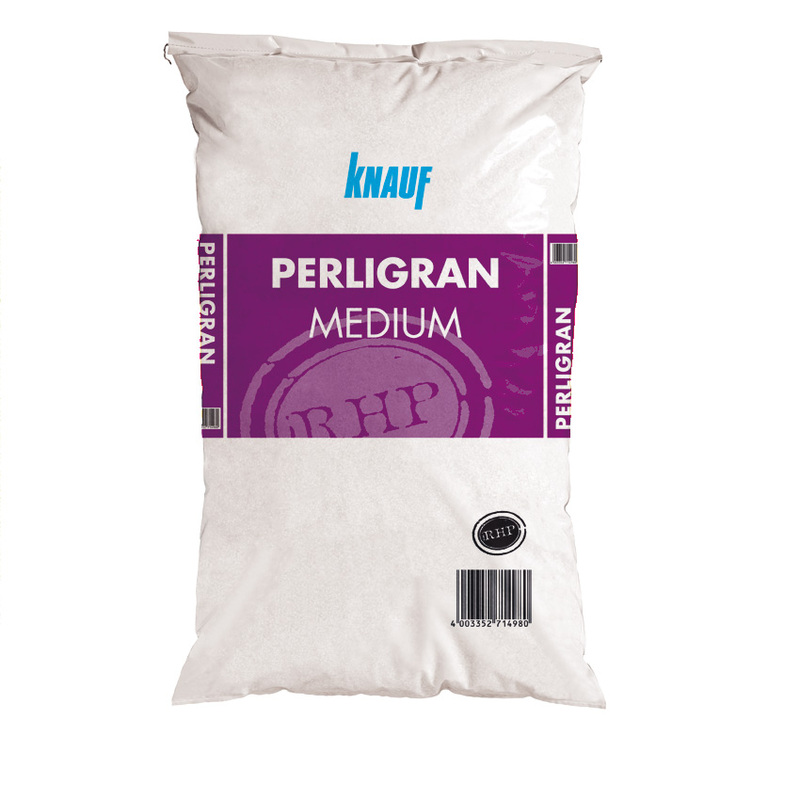 In addition, PERLIGRAN® Medium is the preferred amendment choice in substrates for young plants, grass or as a soilless medium for vegetables. This is because its stabilising structure and finely graded grains allow young roots and tender seedlings to mature into high-yielding organisms. PERLIGRAN® Premium: The all-natural inorganic medium for pure growth. Thanks to its homogenous porosity, high water absorption capacity and superior wettability, PERLIGRAN® is the perfect basis for the healthy growth of plants’roots. PERLIGRAN® Premium is double-screened, absolutely dust-free and, due to its especially high-grade quality, ideally suited for hydroponic growing.PERLIGRAN® Premium gives cut flowers and vegetables the environment they need to produce at their highest levels. PERLIGRAN® Extra: The all-natural inorganic growing media amendment for challenging plants. PERLIGRAN® from KNAUF AQUAPANEL is a 100% natural amendment for your growing media. Manufactured from natural perlite, a high-grade mineral derived from volcanic matter, PERLIGRAN® is specifically designed for use in substrates or as a soilless growing medium for vegetables and cut flowers. Thanks to its homogenous porosity, higher water absorption capacity and superior wettability, PERLIGRAN® is the perfect basis for the healthy growth of plants’ roots. PERLIGRAN® Extra is ideal for demanding soil and growing needs thatrequire a very high degree of porosity, such as is the case with roses, poinsettia, anthuriums, etc. The new perligran.com website by KNAUF AQUAPANEL is now online, in a contemporary design and with plenty of new content. The updated website offers a convenient overview of all PERLIGRAN® products and provides comprehensive information about the company in a responsive format to suit every end device. 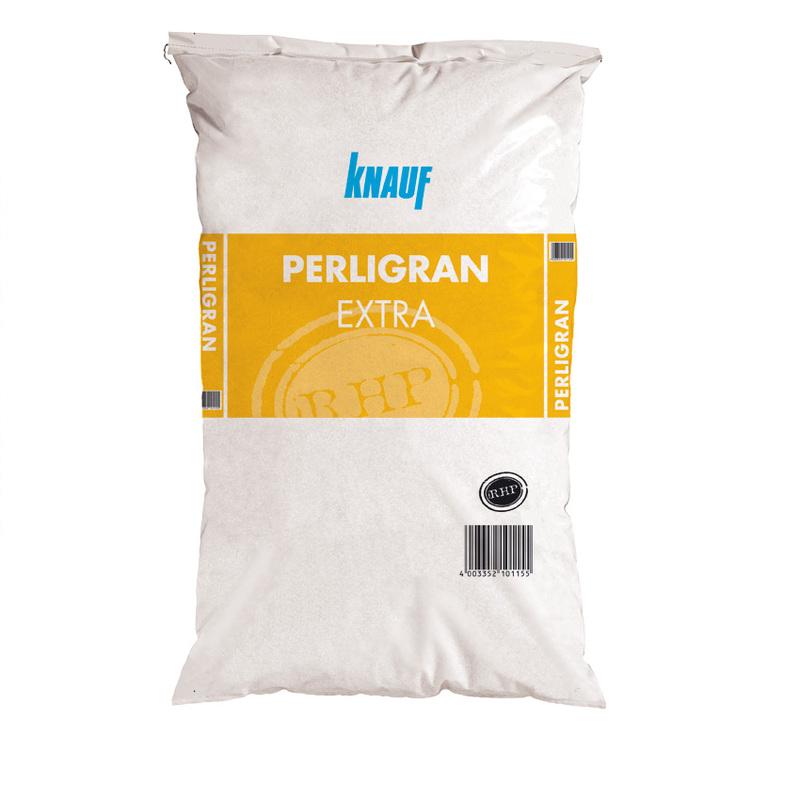 As a specialist in natural, sustainable gardening products, KNAUF AQUAPANEL offers a wealth of expertise in refined perlite with its PERLIGRAN® brand. The brand’s website has been comprehensively updated and is now online. Visitors can find all the information they need about PERLIGRAN® plant substrates via a modern, easy-to-navigate responsive design that’s also optimised for smartphones and tablets. The intuitive navigation also offers access to a comprehensive selection of background materials available for download, as well as multimedia content. The new website is available in English, Marathi and Mandarin Chinese as well as German. 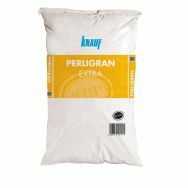 KNAUF AQUAPANEL is specialised in natural and sustainable building materials as well as industry and gardening products based on natural perlite. Among the building materials are interior insulation boards under the brand name TecTem®, which received the German “Blauer Engel“ certificate, as well as floor solutions around the AQUAPANEL® Cement Board Floor and various floor and insulation compounds. The portfolio is completed by PERLIGRAN® plant substrates, the VOLITE® additive and several more refined industrial perlites. The company is based in Dortmund.